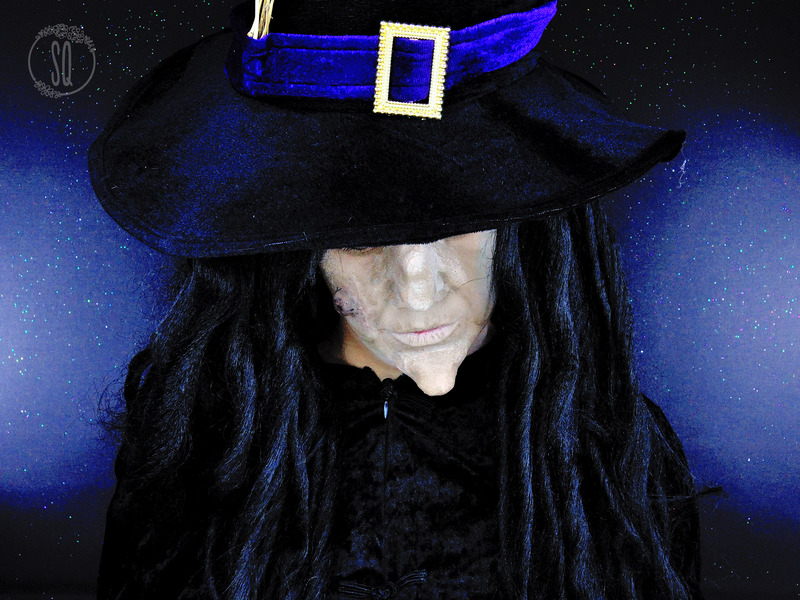 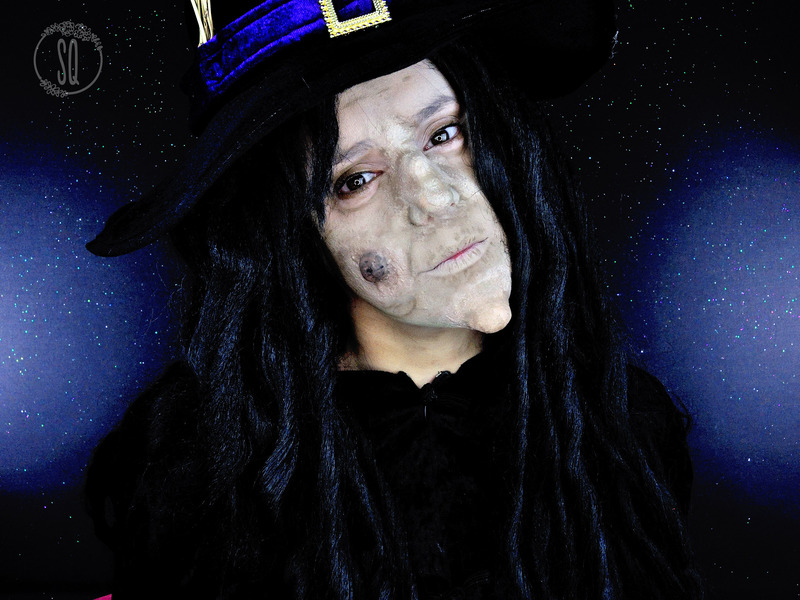 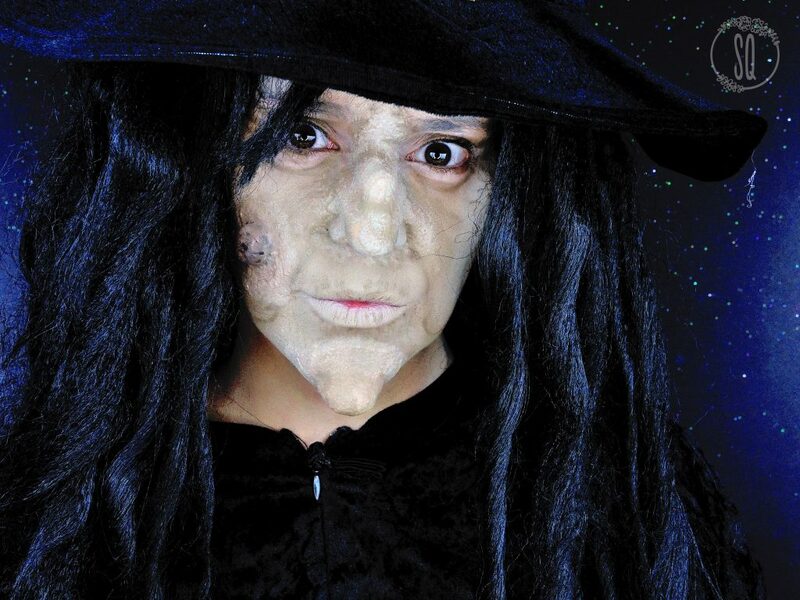 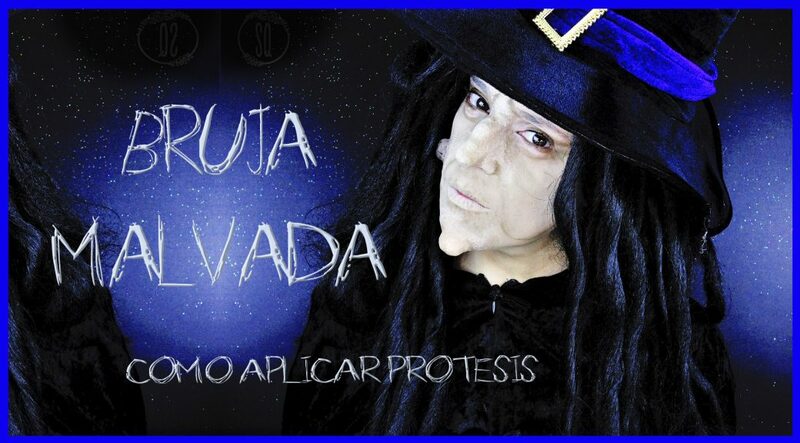 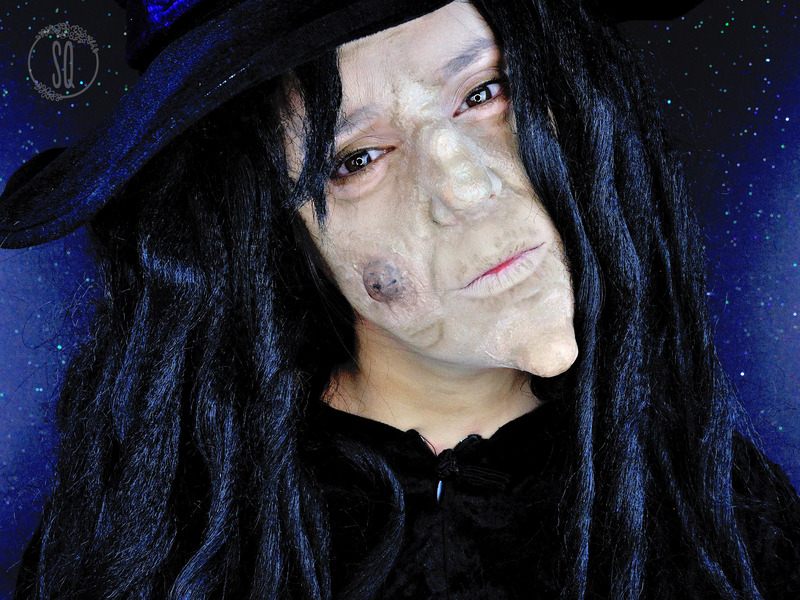 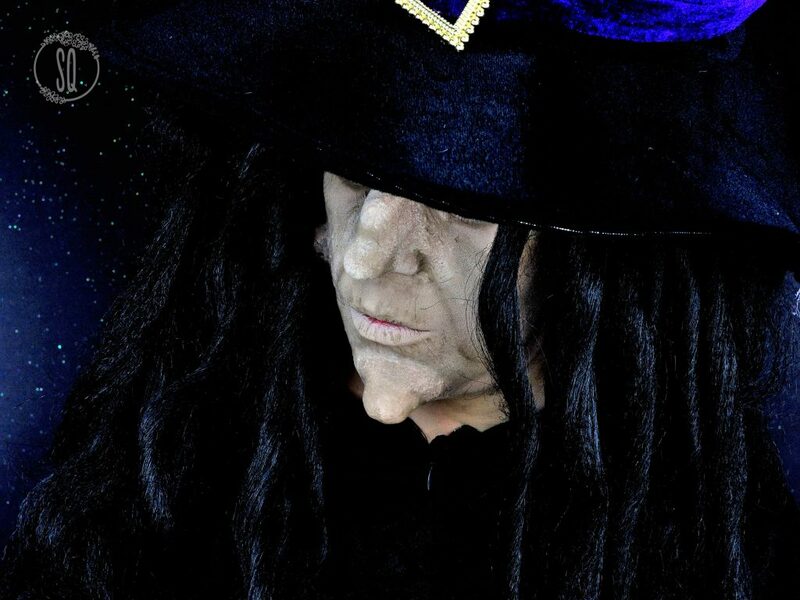 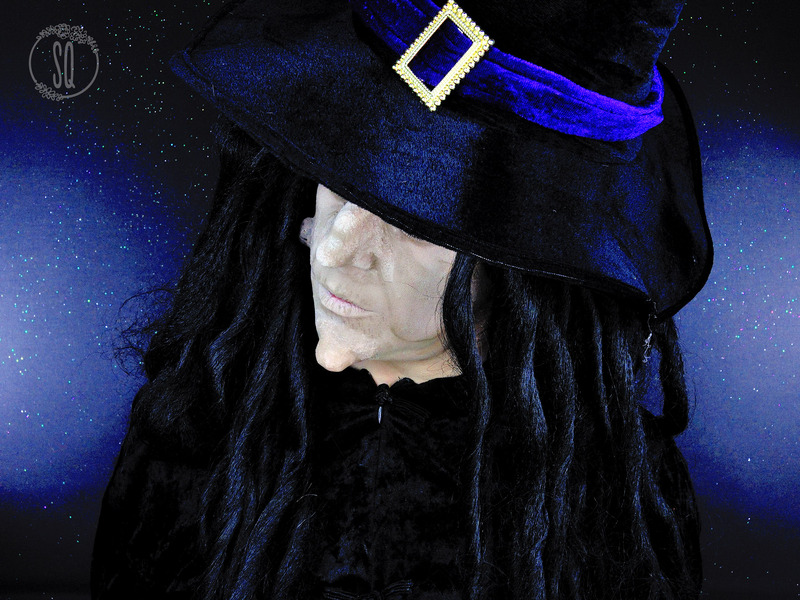 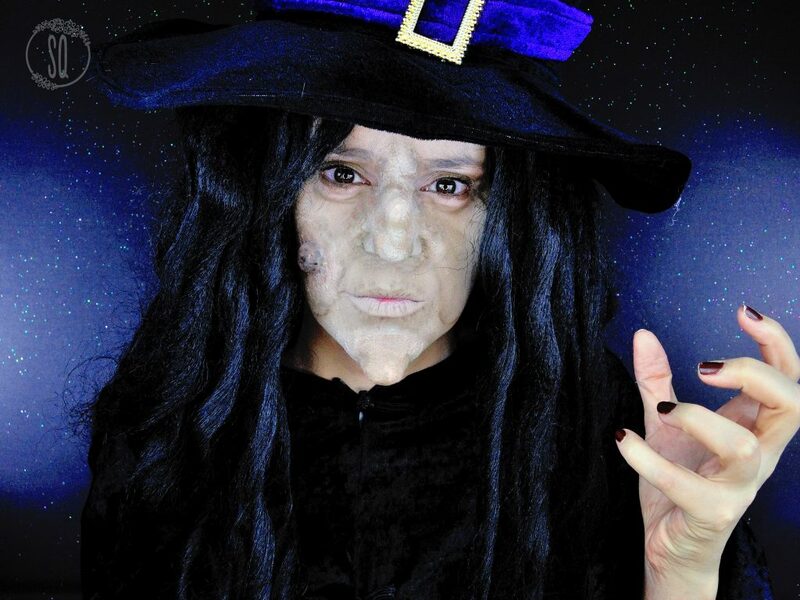 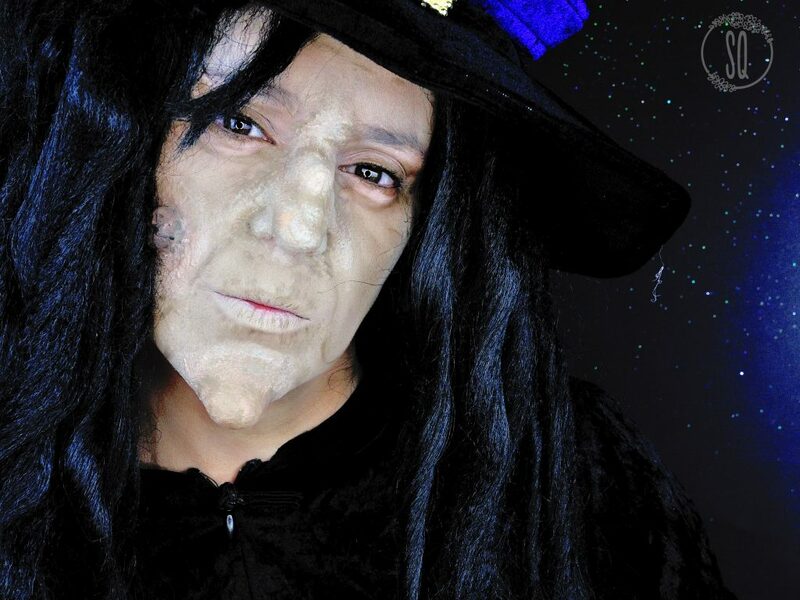 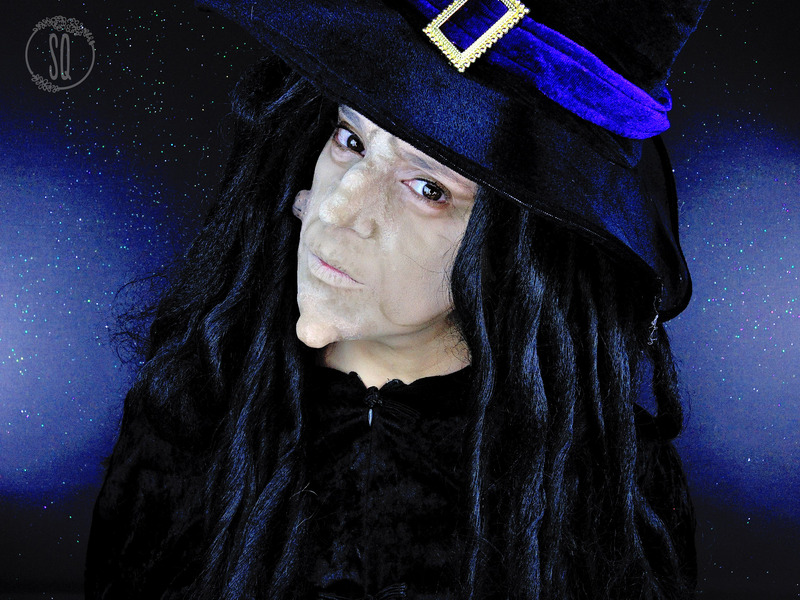 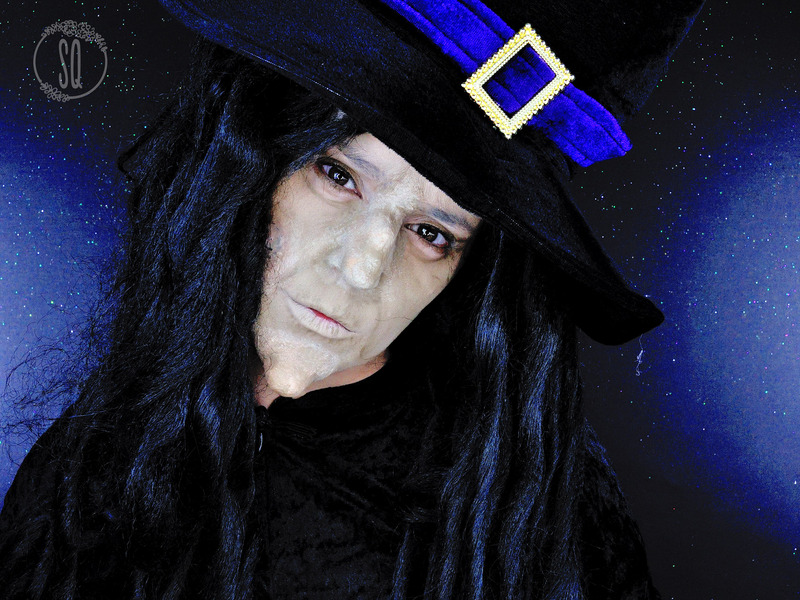 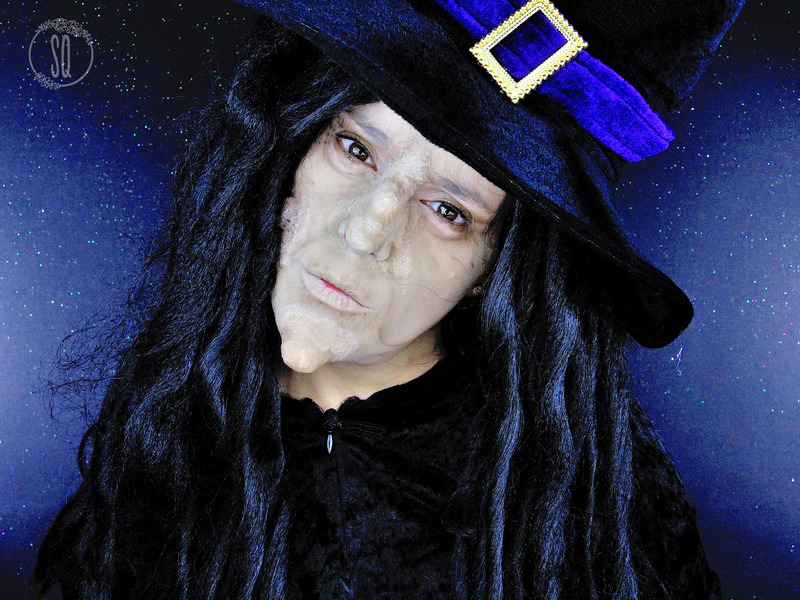 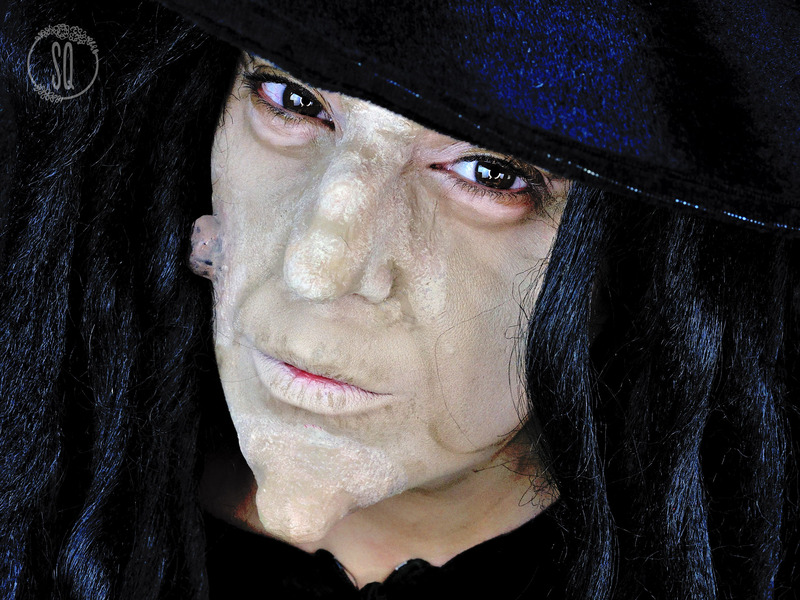 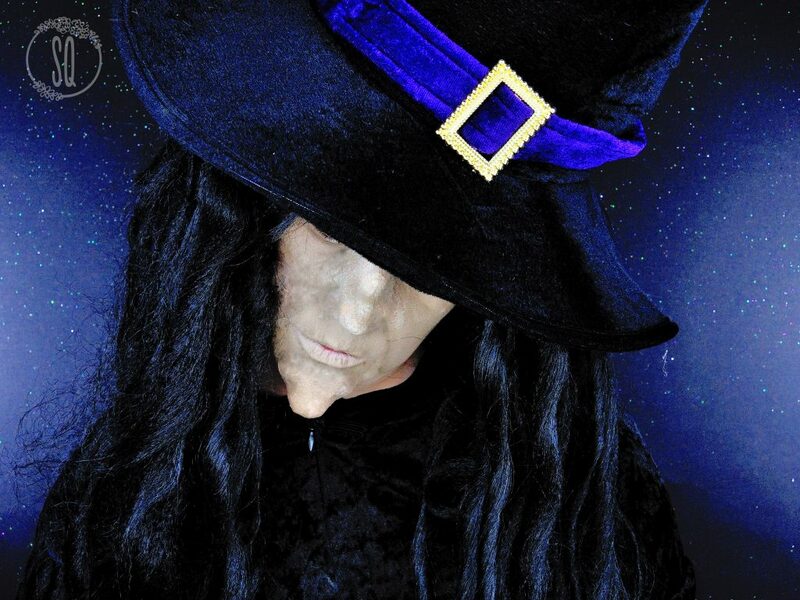 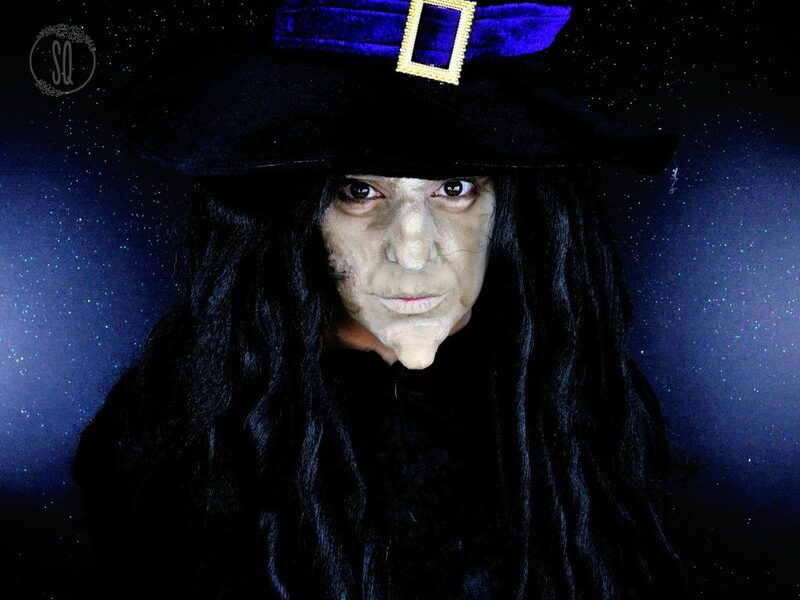 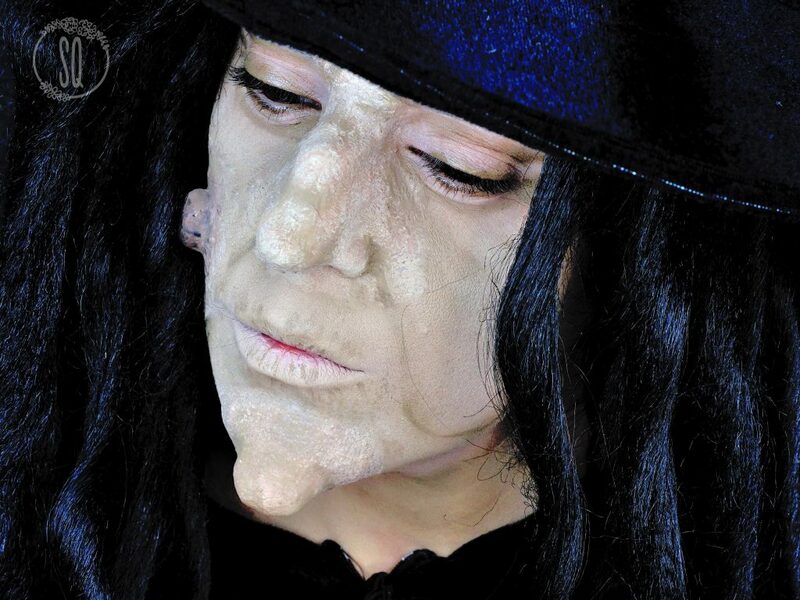 Today we are gonna be applying the prosthetics we did in yesterday’s tutorial to create this evil witch, so you can see we are able to do a very great and scary makeup look at home! 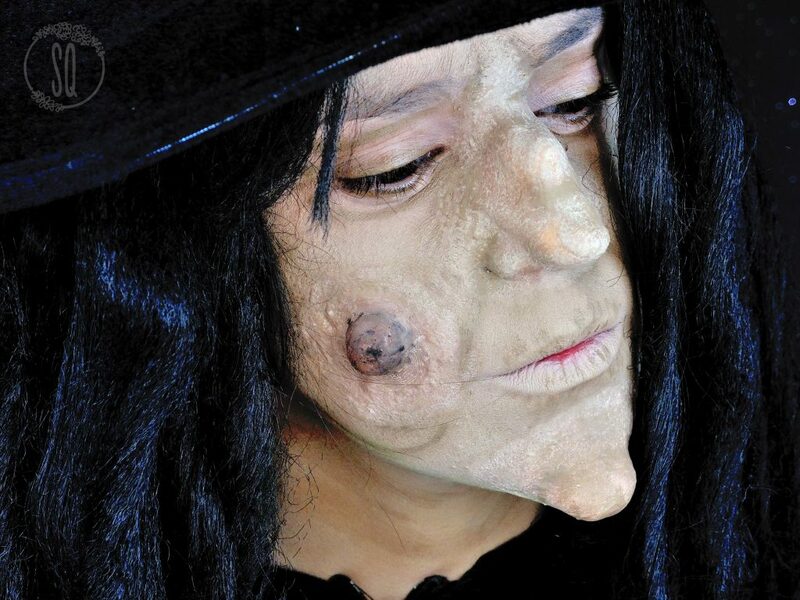 Homemade prosthetic we did yesterdar. 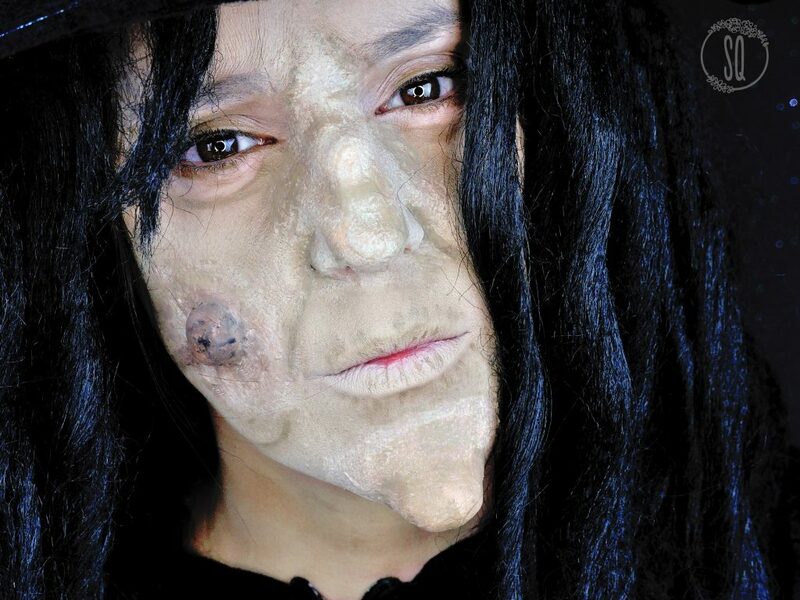 Kaki green, brown and black cream colors 12 flash palette Make Up For Ever.